Tommy Donbavand is a writer’s writer. 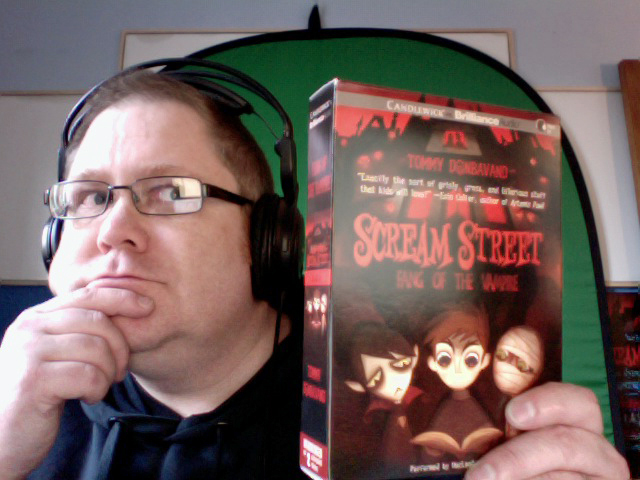 By the time I made his acquaintance online, he’d written and published over one hundred books, primarily for young readers; Scream Street, one of his oldest works, was on the BBC as an animated TV series; and he’d also written Doctor Who: Shroud of Sorrow, which came out for the Doctor’s 50th anniversary. It had Clara. It had the 11th Doctor. But two years ago, Tommy was diagnosed with cancer. Stage four, inoperable. He beat it. 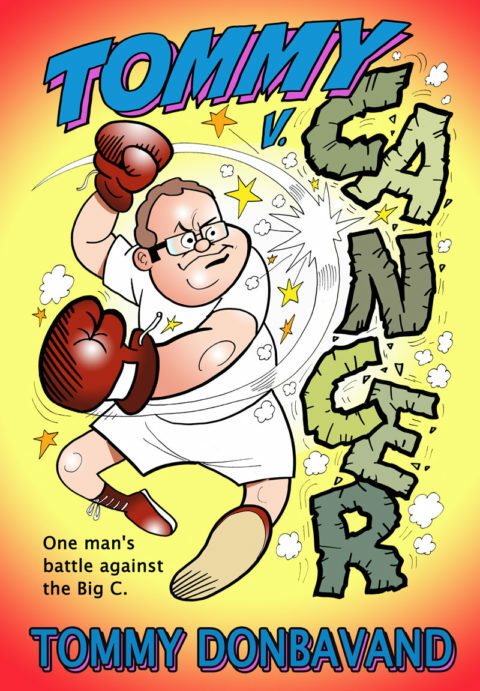 And when I emailed him, he sent me his harrowing memoir: Tommy v Cancer, a book with a cheerful cover showing a cartoon Tommy beating up the Big C with boxing gloves on his hands. That book was probably one of the most hopeful and the most brutal books I’ve ever read. It could have been renamed As I lay dying and Falkner would have applauded. Within its pages was a man who, watching his life pass away in a haze of hospitals and beeping, refused to go gentle into that good night. His memoir is a beacon of hope. In July, Tommy was kind enough to answer a few of my pestering questions, and I’d like to share them here. How did you end up as a writer, and what were your first big moments? As a child, I always wanted to be an actor – and writing followed as a natural extension of that dream. I wrote stories and scripts so that I would have something to perform. Eventually, I had a successful career in theatre, appearing in dozens of touring plays for children, shows at holiday venues and on board cruise liners, and I spent eight years playing the character of the Clearlake MC in the West End musical Buddy: The Buddy Holly Story. When I got married and had children, I didn’t want to be away on tour all the time, so I dropped the acting and promoted writing to my full-time job. Was writing children’s fiction a conscious choice, or did you sort of gravitate towards it? It was a conscious decision. You can have so much more fun with fiction for younger readers (adults don’t seem to appreciate farting goblins turning up in the midst of a crime thriller for some reason). Plus, kids give you great, honest feedback. You get to know exactly what you’re doing right – and wrong – in no uncertain terms. How is it to write now? Are you back on your feet proper, and has this made any change to how you used to work before? I’m not back to full strength yet by any means. I can write again, but I’m not as prolific as I was before all this cancer nonsense, and I can’t sit at my desk for long periods of time. Some days I’m so run down and unwell that I can’t work at all, and that’s very frustrating. It has meant that I’ve had to avoid taking on projects that have deadlines as much as possible, as there have been a couple of occasions where I’ve missed submission dates and caused problems for publishers. Thankfully, they’ve all been very understanding, but that’s not a reputation I want to get for myself, no matter what the cause. One thing that has had to stop is my career as a creative writing tutor. For the past ten years, I’ve visited around 70 schools per year running writing classes and giving talks about my life as an author. That’s impossible to do now, and I’ve lost over half of my income as a result. Does writing energize or exhaust you? As in, do you sit at the typewriter and bleed? It used to energise me – now it does both. I don’t bleed at the keyboard, so much as allow it to take over my subconscious and let the words flow through my fingers. If I ever get stuck, I switch to pen and paper to brainstorm my way back to a position where I can carry on again. How has Amazon impacted the children’s fiction market? Hardly at all. Children’s books are a very hard sell on the Kindle. There isn’t yet a solid e-reading device for kids and, until there is, children’s publishing will stay firmly in the world of paper and ink. You wrote Shroud of Sorrow for the 50th anniversary . . . how did that about? And who’s your favorite Doctor? As a huge fan of the show, I’d always wanted to write for The Doctor, and I bugged the series editor repeatedly until they let me have a go! 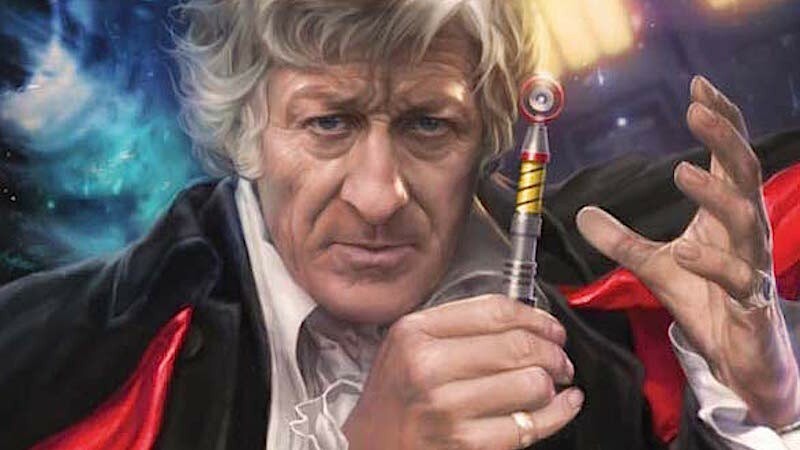 My favourite Doctor is the Third – played by Jon Pertwee. I managed to sneak a cameo of him, along with all the other Doctors, into a scene where I portrayed the funeral of Brigadier Lethbridge-Stewart. Now I can say I’ve written for them all! It definitely hurts. Despite some of the biggest names having big egos, agents and publishers much prefer to deal with writers who are pleasant and easy to get along with. There have been occasions in my career where I’ve thought I might be a little too nice when I’ve avoided standing up for myself to avoid coming across as arrogant but, in the end, I’d rather be seen in a positive light than someone who’s difficult to deal with. That the first draft of a project is only the clay on the potter’s wheel. Only once you’ve got that first draft down can you begin shaping it into something beautiful or exciting by rewriting subsequent drafts. The quality of that first draft doesn’t matter. Just get it down, then get to work making it better. Write, write, write. Then write more. Writing is a kind of muscle. You only get better by doing it over and over again. Fill notepad after notepad with stories – both inside and outside of your favourite genres. You don’t have to show them to anyone. But, with each page filled, you’ll be a slightly better writer. You can find Tommy on www.tommydonbavand.com and @tommydonbavand on Twitter.